The Bay Area's only National Monument is incredibly beautiful, and named after one of the most influential and inspiring person in the outdoor world - John Muir. With the towering Redwood trees, and easy hiking, its no wonder so many people visit the monument when they're in the San Francisco area. Muir Woods is popular. And by popular, I mean, getting a parking space and finding solitude is almost impossible here. On only one occasion have I scored a parking space in the main lot, and it was because I arrived around 4 pm, on a weekday, when most people were leaving. Otherwise, be prepared to park up to a mile away from the entrance in gravel parking lots. The best times to visit? Early in the morning or late in the day, no matter the day of the week. San Francisco is a popular tourist destination all year round, and I guarantee you, you'll find at least 5 tour busses all filled to the brim unloading tourists at the entrance, every. single. day. Rain or shine, summer or winter. You may even see electronic signs on Highway 101 north of the Golden Gate Bridge warning you about the parking situation at Muir Woods. Even though it is very crowded, most people are respectful of the area, and speak quietly and stay on the boardwalks and designated trails in the monument. This is so important to follow: Redwood trees have very shallow root systems, and going off trail/ the boardwalks can damage the trees and cause them to die. Stay on the boardwalks & trails! And speak quietly. This is a sanctuary for many people - and you can almost feel how special this place is the minute you walk in - no need to play music on the speakers and yell at your friends here. And just as I finished writing about the parking situation, I found out about the new parking/ shuttle reservation system for 2018! Read all of the FAQs here. 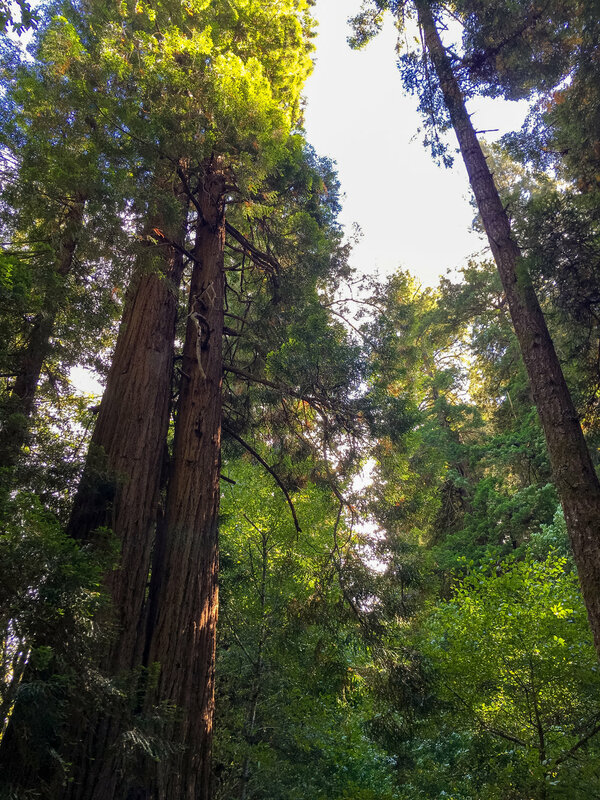 Basically, you will no longer be able to go to Muir Woods on a whim - you will be required to make an advance reservation for a private vehicle or public shuttle entrance. Private vehicle is currently $8/ car, shuttle is $3/ adult aged 16 and older. Muir Woods is a walk-in monument. So instead of charging my car/ family, you are charged per person. The current cost is $10/ adult aged 16 and older, and free/ child aged 15 and younger. If you have an America the Beautiful Pass, you plus 3 other adults can get in free. And yes, this is in addition to the new parking reservation costs. If you don't want to pay for entry or parking, your best bet is to hike in from another trail in the area. 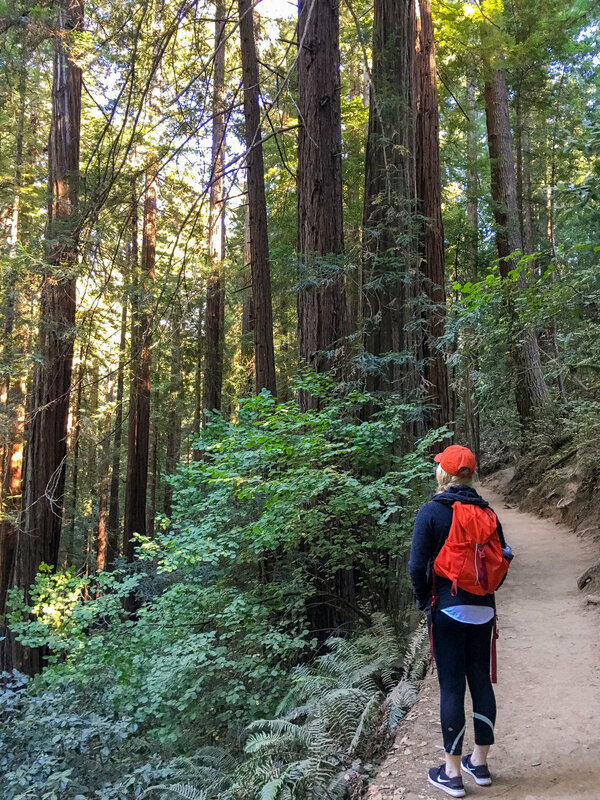 There are trails from the Pantoll Campground in Mount Tamalpais State Park that lead to Muir Woods. Consult a good, reliable topo map to plan a route. 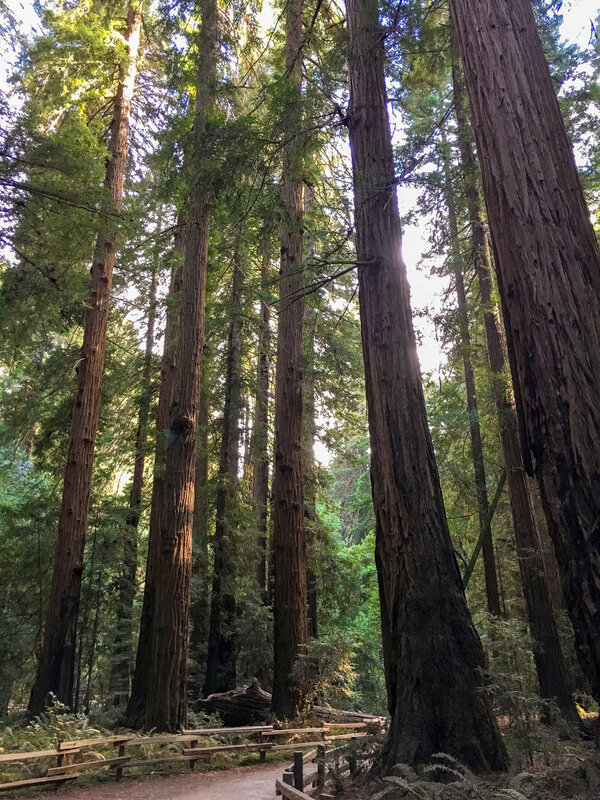 The open hours of Muir Woods varies based on the time of year, but generally opens at 8 am and closes at sunset. To view the actual operating hours during the time of year you're visiting, click here. There is only one trail that is entirely in the monument, and it's the most popular one: for good reason. The largest and most beautiful redwoods are along this boardwalk path, which spans for about 3/4 of a mile from the entrance. You could go back the way you came, or turn left at the very end of the boardwalk and continue up to the Hillside trail and get a different perspective of the trees. This is my favorite loop, though there are longer hikes you can do that begin in the monument. Check out a good topo map to understand the route and elevation gain. The Hillside trail will eventually lead you back down to the bottom of the valley, very close to the entrance.